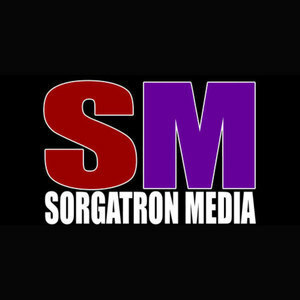 We found 10 episodes of Sorgatron Media Master Feed with the tag “wwe”. The THRIFTY Gift Shop announces it's opening + Podcast Night at the Tolma 2 gets an official date. Mad Mike, Sorg, and Larry are talking WWE Raw and WWE NXT Halftime Heat. But Mike starts us off with a tirade about TNA Impact RAW with Jeff Jarrett and Road Dogg, who shouldn't like each other, Ronda Rousey's acting chops, the Becky Lynch, the over 40 rule and more! Mad Mike Rohrssen, Larry and Sorg are talking the expected downturn of Elias, Raymond Rowe's NXT Tag Championship and an old challenge, Ronda Rousey gets shook, Nia Jax intergener efforts at Royal Rumble and more! Mainstream Matt walks thorugh week 1 of this year's competitive thought experiment with International Wrestling Cartel - IWC Commentator Farnsworth and pro wrestling's Ty Cross for commentary. Larry, Mad Mike and Sorg are kicking off the week talking about Hurricane ShaneHelmsCom at International Wrestling Cartel - IWC this weekend, R-Truth in a closet, his vacation with Carmella, Larry watches Scott Steiner on a Pogo stick for the first time, Rhonda Rousey math, Sasha Banks, Curt Hawkins referee skills, WWE Royal Rumble 2019 prep and more!